Lamb cooked on the slow flame over chopped onions, ginger, garlic and raw whole spices with an addition of tomatoes forming its own juicy gravy. Lamb cooked delicately in mild creamy cashew nut base curry sauce flavored with touch of coconut base. 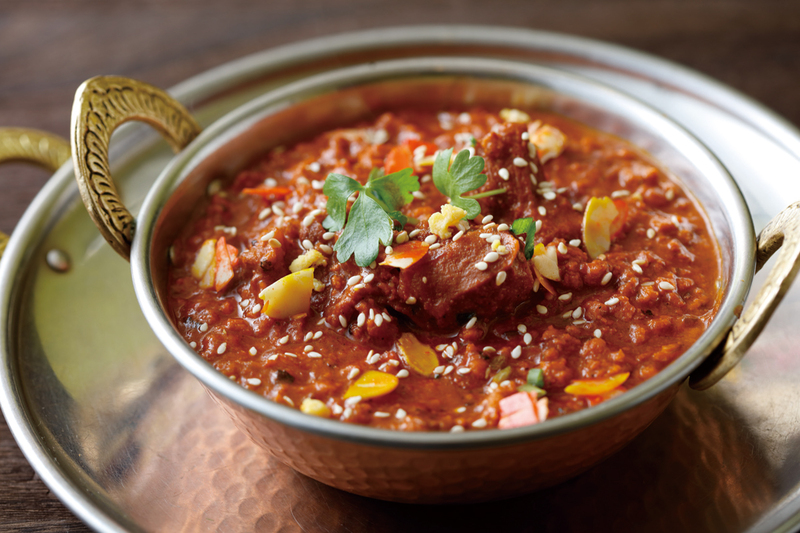 Lamb cooked with diced onions, bell peppers along with traditional spices as cumin, cardamom and star aniseeds. Lamb cooked with dry ginger and fried onions flavored with traditional spices. Chunks of lamb cooked along with minced lamb and strong authentic blend of spices in the most traditional manner.